The model is open source and licensed under version 2.0 of the Creative Commons Non Commercial Attribution License. We do, for initialization, but we don't want to rely on them. Fractals generate superficially realistic terrain using processes that radically differ from reality. This allows them to operate many orders of magnitude faster than tectonic simulators, but this comes at a cost. A fractal world has no history - users cannot look at a landscape and say why or how that landscape formed the way it did, at least not in reference to real life processes. An author, for instance, would have a harder time breathing life into a fractal world because such details would have to be tacked on after the fact in a way that loosely conforms to what's already been generated. 2D models go a long ways towards reducing the code needed to express themselves. In a 2D model, grid cells can be represented in 2D arrays, and contents can be moved between them through a series of integer vectors. In a 3D model, decisions such as these are nowhere near as straightforward. Developers must answer basic questions concerning how grid cells are arranged and how cell contents move. The bright side of this scheme, however, is that reality fights on your side. Some planet features for instance form naturally since they're simple products of geometry. Island arcs are perhaps the best example - 2d models based upon similar principles appear to have difficulty forming island chains along anything other than straight lines, but properly shaped arcs form here as emergent behavior. 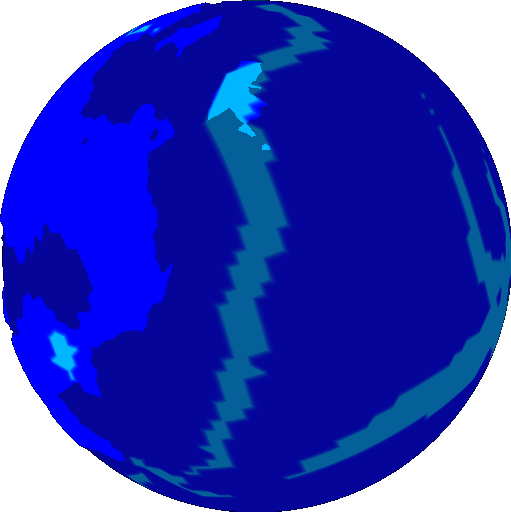 Tectonics.js seeks to be accessible to a wide audience of world building enthusiasts. 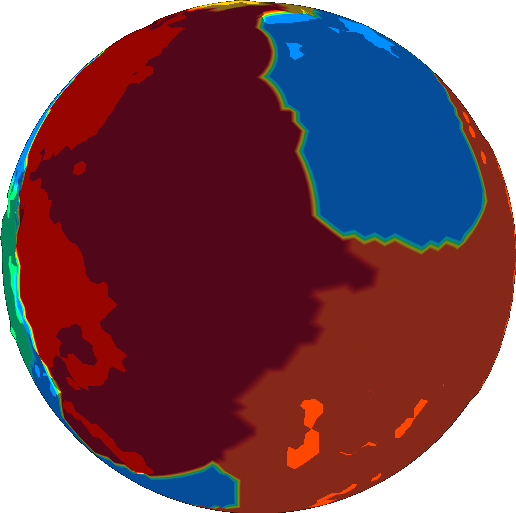 Many aspring storytellers and world building enthusiasts in general like the idea of using models that can form realistic landmasses for their worlds but lack the skill to develop their own. 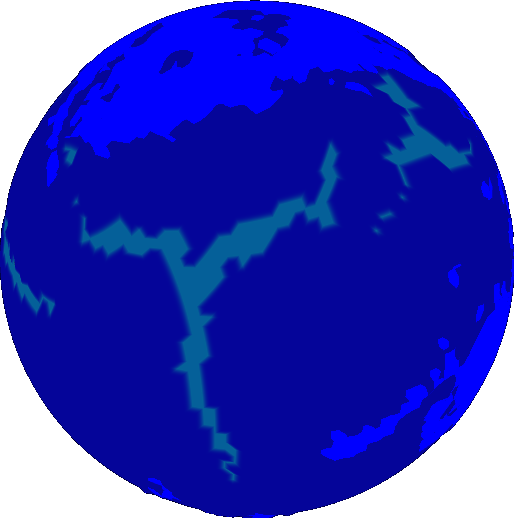 A web application allows just about anyone to type in a site and create their own imaginary worlds. If you're, say, writing a novel and want to emphasize the quality of worlds over quantity, then this project is meant for you. 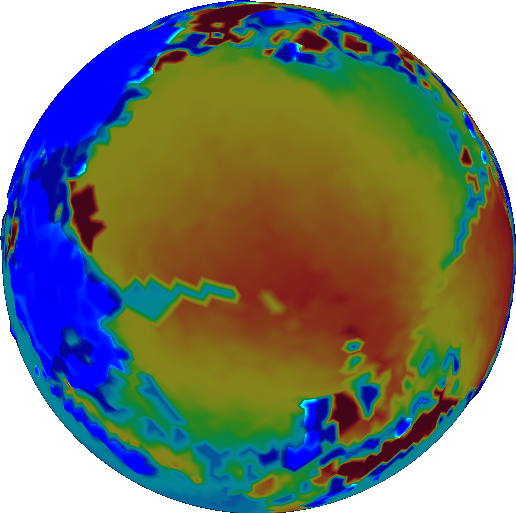 The model tracks the age of oceanic crust. 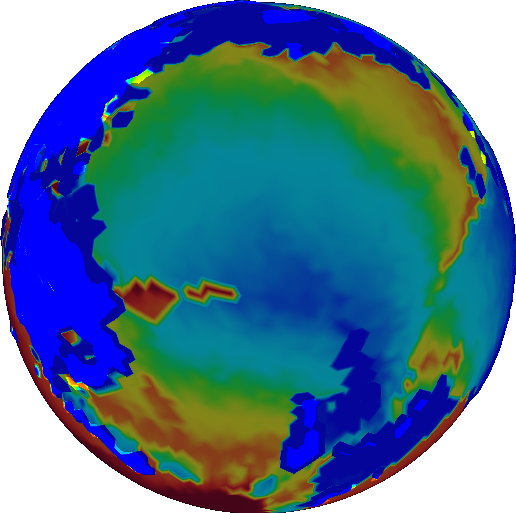 Age is used to calculate density (since oceanic crust gets dense with age). When crust density exceeds a threshold, the crust is marked for subduction. 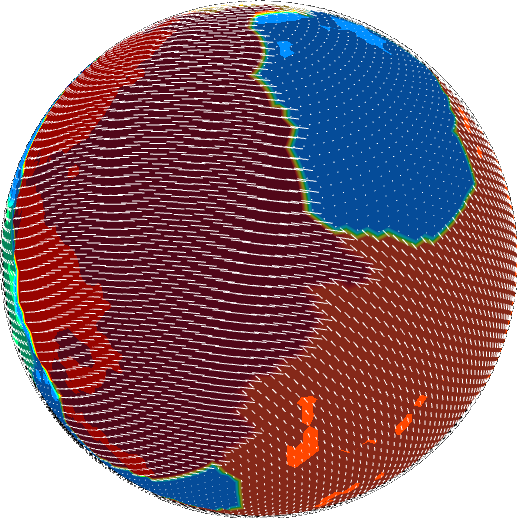 Velocity lines are calculated so that crust will be drawn towards subducting regions. This is done using vector calculus. An image segmentation algorithm identifies regions where velocity lines are similar. These regions represent plates in the real world. The weighted average of the velocity lines become the velocity of the plate. Because plates are drawn towards subducting regions, overlaps will occur in the subducting regions. When subducting crust overlaps, it gets deleted from the model. Gaps also form as the crust moves. New crust is created to fill these gaps. 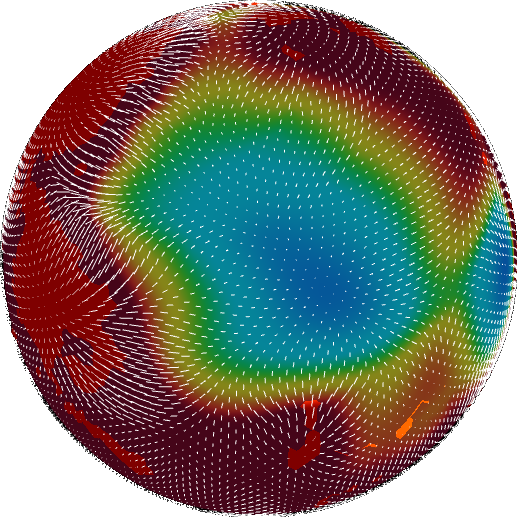 This new crust represents a planet's mid ocean ridges. Can I build off your model? Yes. 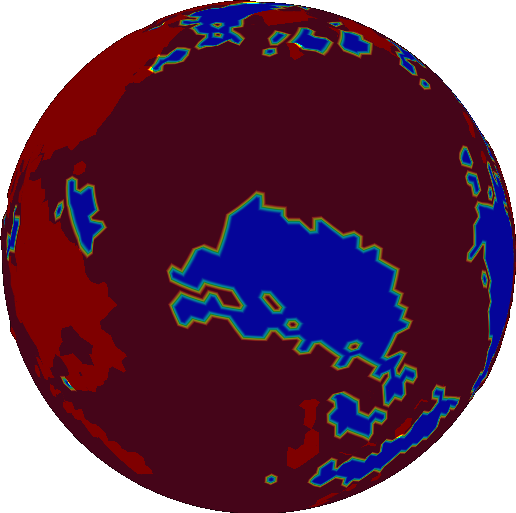 Tectonics.js is licensed under version 4.0 of the Creative Commons Attribution license. This means you are free to share and modify the model in any way you please, the only requirement being that you give credit. Tectonics.js is my personal project. I work on it namely because it's a fun way to develop and showcase myself professionally. I write simulation software for a living, so I often find many pleasant intersections between what I do here vs. what I do in the real world. My only hope is people find my project useful or inspiring, and who knows, maybe open up professional opportunities. If you do wind up building off the model I'd like to hear it, if only to know someone finds the work useful. Along the same lines, if you feel there's something you'd like to contribute without making your own distribution, give me a pull request - I'll work changes in and make sure your name appears on the credits list. First, check out the issue tracker on GitHub. If you don't have a github account or don't feel your question belongs there, drop me a line and I'll try to get back to you as soon as I can.